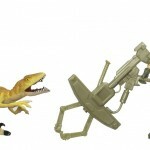 ToyArk.com has received new Hi-Res images of the upcoming Toys “R” Us Jurassic Park action figure line by Hasbro. 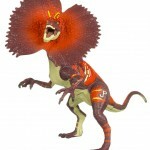 To view the new Jurassic Park images click the Title Bar. 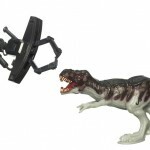 PAWTUCKET, R.I.--(BUSINESS WIRE)--Hasbro, Inc. (NYSE: HAS - News) has announced plans to unleash the legendary dinosaurs from Universal Pictures’ Jurassic Park, one of the most powerful franchises in motion picture history. 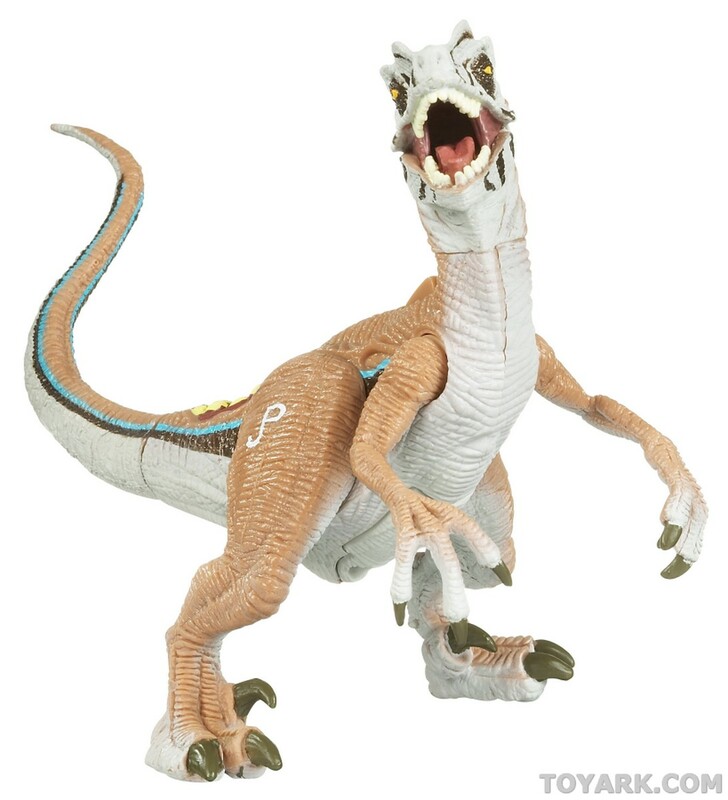 This fall, under a licensing agreement with Universal Partnerships & Licensing, Hasbro plans to launch a new action figure line based on the film’s prehistoric predators exclusively at Toys“R”Us stores across the country. 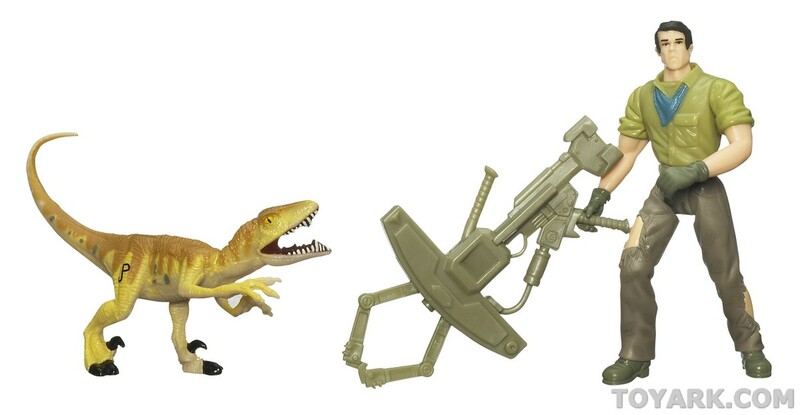 Each deluxe two-pack in this assortment comes with a dinosaur and a “Dino Tracker” action figure that is equipped with an accessory that lets them track their prey. 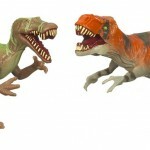 Now, kids can determine who will win the hunt –dinosaurs or humans. Since Universal Pictures and Steven Spielberg’s Amblin Entertainment first joined forces to unleash an adventure over 65 million years in the making, Jurassic Park has become the “premier” and “authentic” dinosaur brand the world over. When Jurassic Park was released in 1993, it became an instant phenomenon. In the years that followed, two additional films were released – The Lost World: Jurassic Park and Jurassic Park III – bringing the trilogy’s worldwide box office total to more than $2 billion. The franchise continues to resonate with consumers worldwide via consumer products, popular attractions at Universal Studios Theme Parks and annual airings of the three films on a multitude of television networks. Hasbro, Inc. (NYSE: HAS - News) is a worldwide leader in children’s and family leisure time products and services with a rich portfolio of brands and entertainment properties that provides some of the highest quality and most recognizable play and recreational experiences in the world. 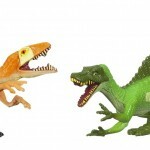 As a brand-driven, consumer-focused global company, Hasbro brings to market a range of toys, games and licensed products, from traditional to high-tech and digital, under such powerful brand names as TRANSFORMERS, PLAYSKOOL, TONKA, MILTON BRADLEY, PARKER BROTHERS, CRANIUM and WIZARDS OF THE COAST. Come see how we inspire play through our brands at http://www.hasbro.com. 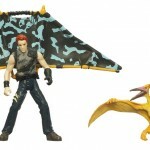 (C) 2009 Hasbro, Inc. All Rights Reserved. UP&L oversees Universal’s consumer product licensing, film and home entertainment promotions, and all corporate alliances for Universal’s theatrical, home entertainment, theme parks and stage productions. This dedicated division is also responsible for monetizing the Studio’s vast library of films and characters through licensing, branding and marketing opportunities. UP&L is part of NBC Universal, one of the world's leading media and entertainment companies in the development, production, and marketing of entertainment, news, and information to a global audience. Formed in May 2004 through the combining of NBC and Vivendi Universal Entertainment, NBC Universal owns and operates a valuable portfolio of news and entertainment networks, a premier motion picture company, significant television production operations, a leading television stations group, and world-renowned theme parks. NBC Universal is 80%-owned by General Electric, with 20% owned by Vivendi. Toys“R”Us, Inc. is the world’s leading dedicated toy and baby products retailer, offering a differentiated shopping experience through its family of brands. It currently sells merchandise in more than 1,500 stores, including 847 Toys“R”Us and Babies“R”Us stores in the United States, and more than 700 international stores in 32 countries, consisting of both licensed and franchised stores. In addition, it sells extraordinary toys in two FAO Schwarz stores in the United States. With its strong portfolio of e-commerce sites including Toysrus.com, Babiesrus.com, eToys.com, FAO.com and babyuniverse.com, it provides shoppers with an unparalleled online selection of distinctive toy and baby products. In addition, the company operates ePregnancy.com, an online resource for parents. Headquartered in Wayne, NJ, Toys“R”Us, Inc. employs approximately 72,000 associates worldwide. The company is committed to serving its communities as a caring and reputable neighbor through programs dedicated to keeping kids safe and helping them in times of need. 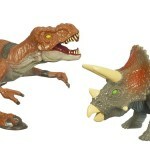 hey...Toys R Us in Alpharetta Georgia already released the two packs and the single electronic dinosaur figures waves about a week ago, so old news here no T-rex yet though, which I might buy just so I can repaint him. 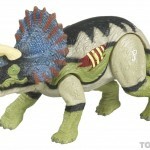 My TRU has had the single electronic dinos for several weeks as well. But they are $18 each! A bit much for a little dinosaur. 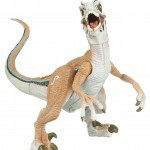 Yeah, I'm not much of a fan of the prices on these, especially when the line is mostly reused JP3 toys. 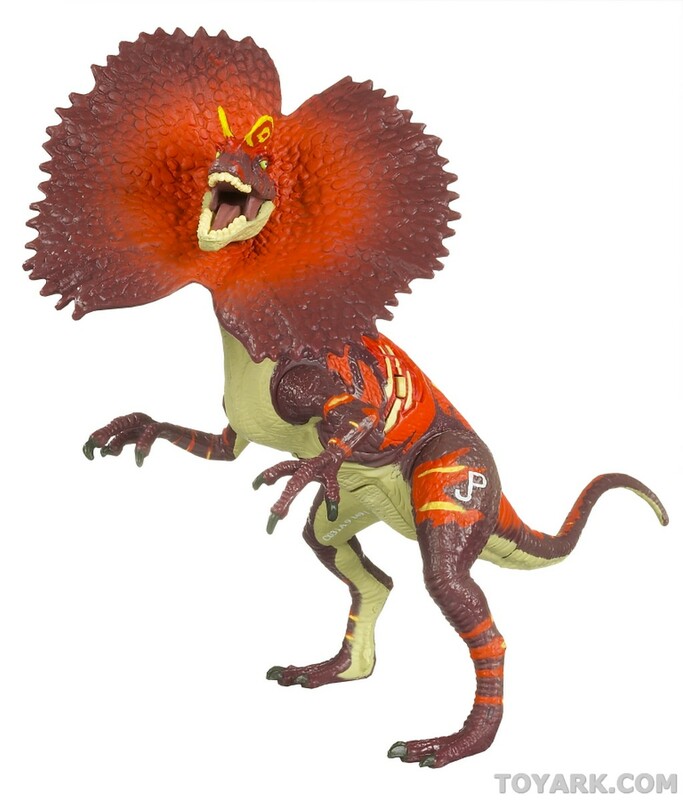 The high price for the big rex ($59.99) is not so bad, because you're getting a LOT of dinosaur for your money, plus the mold's been altered. Appearance-wise? 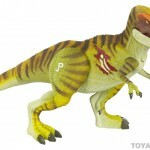 These are among the best JP dinosaur colors yet. A little strange, a little realistic, and almost entirely unexpected. 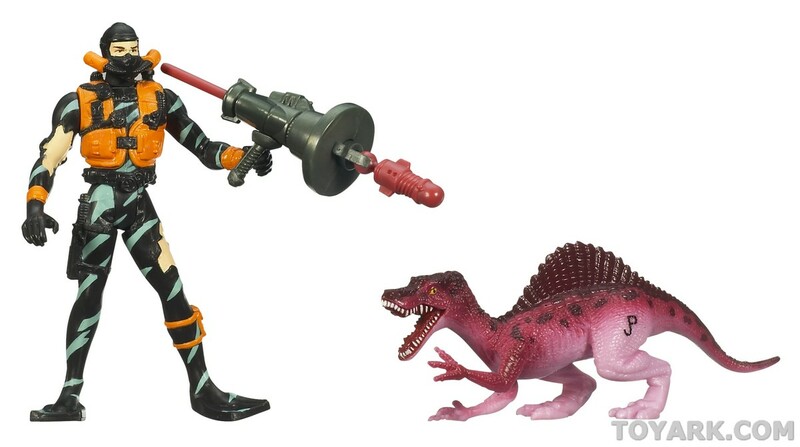 Hasbro definitely got creative with what they had. I am crossing my finger that the line will reach outside US. It is. It's a going to all UK and International markets that Hasbro distributes to and has Toys "R" Us stores. 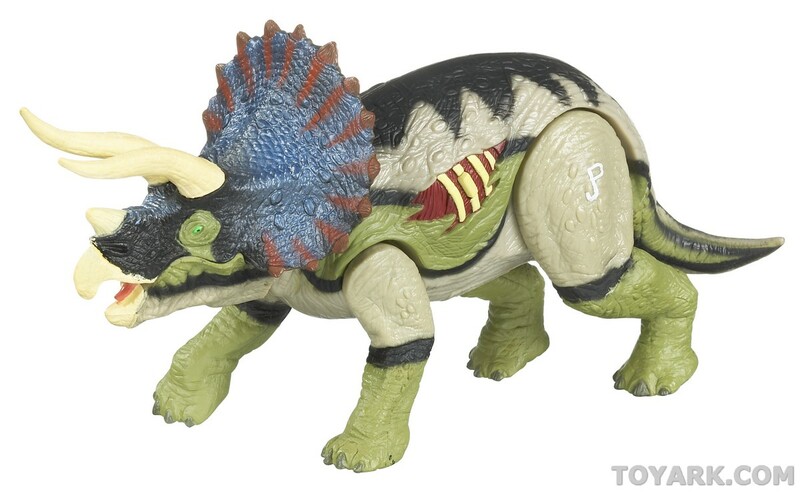 I'm just glad to have dinosaurs come back to toy stores I haven't really been seeing any good dinosaurs lately. Yup. Been seeing them on the shelves lately. how the articulation on these things? 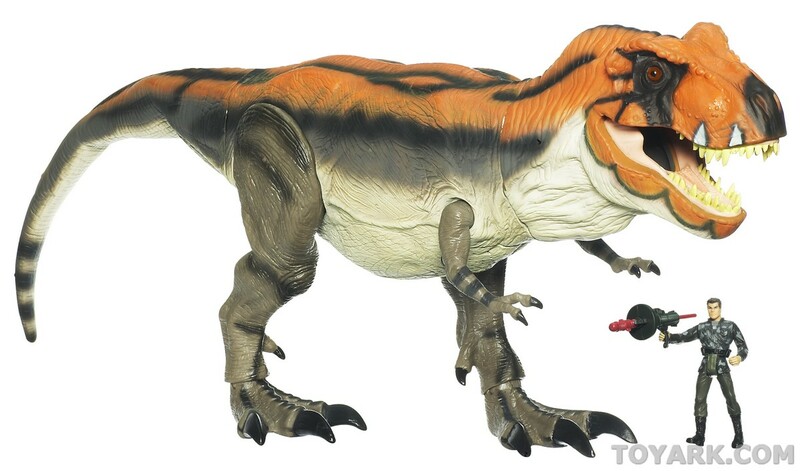 man they brought back the bull t-rex and added articulation to the legs with hip joints and ball ankle and shoulder joints but totally blew it on that mediocre paint scheme...with any lick they'll do something different. 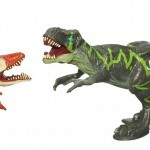 the best realistic paint schemes were from the first film including the large t rex, juvenile, stegosaurus, and triceratops, and the second films figures, these have terrible unnatural paint schemes and shapes to me...and that bull t rex is way too over priced even though its arms have been remolded. The hatchlings have no articulation. 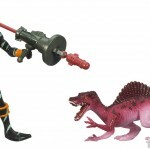 The Dino Growlers are almost fixed-pose, with swivel joints at arms and legs and sometimes moving jaws attached to push-button gimmicks for the predators. 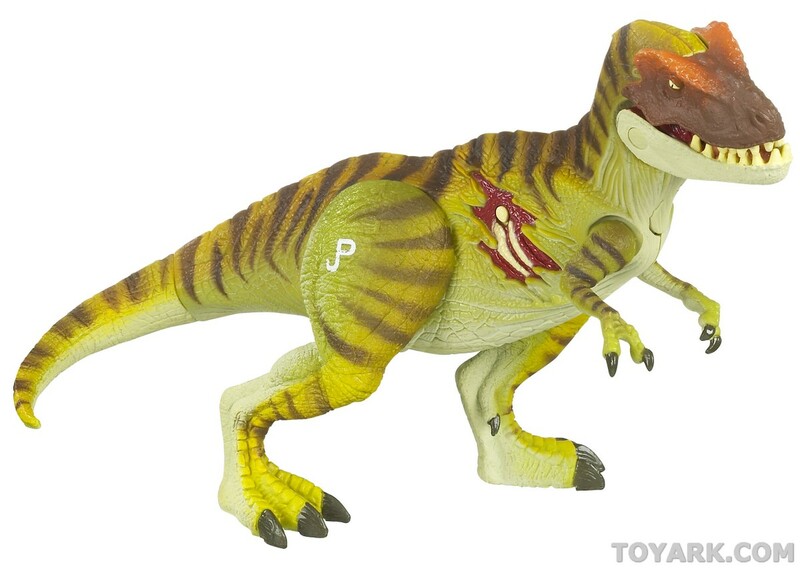 The Bull Rex has some potential in that area though, thanks to the newer mold, but only in the arms and legs. Emphasis on to you. These are effing dinosaurs, not real, known animals, in a science-fiction setting where they have been brought back to life via cloning. Realism is wholly relative, and for what they are, I believe they have a touch of realism. No, but I responded to your comment after you did to mine. It's nothing personal, LOL. Those "loops" and the lines that you mention don't strike me as rush jobs. Poorly thought out or illogical, perhaps, but the colors on everything save for the hatchlings looks quite detailed to me. 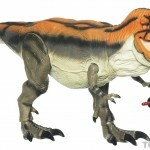 just saw the big t-rex at my local toys r us and wow a major disappointment they basically down graded the figure by taking what the big dinosaurs were know for that latex rubber skin on the body's and made the torso solid hard plastic...its a total shame and really takes away for a great figure. makes it not worth the price and seems cheap.